The summit of the Commonwealth of Independent States (CIS), which took place in Minsk on November 28th was one of the best-attended of recent years. Among those present were President Yushchenko, Uzbek President Islam Karimov, President Ilkham Aliyev of Azerbaijan, Russian President Vladimir Putin, and Moldovan President Vladimir Voronin. The host for this event was, of course, President Alexander Lukashenko of Belarus with his exemplary comb-over hair cut - the give-away is the proximity of the parting-line to the ear, and the depth to which it extends around the back of the head. [see photo] I wonder if some kind of adhesive or fixative is used in its elaborate arrangement, in order to avoid possible embarrassment caused by unexpected gusts of wind etc. Kremlin-controlled disinformation is now flowing at full output following former FSB agent Alexander Litvinenko's fatal poisoning caused by a radioactive isotope in London. I recall a highly placed official of the Russian State Organic Chemistry Institute attributing, in the mass media, Yushchenko's poisoning to 'out-of-date' eau-de-cologne, after western scientists had declared the probable cause was a dioxin cocktail. Today Ukraine's parliament passed a law recognizing the 1932-1933 Holodomor [artifically created famine] as an act of genocide against the Ukrainian people - ['narod', rather than natsiya - 'nation']. Public denial of this dreadful event will be consided a violation of the memory of the millions of its victims, and has been declared illegal. The voting figures were as follows: supporting the bill were BYuT - 118 deputies, NSNU - 79 deputies, Socialists - 30 deputies, 4 independent deputies, and Party of Regions 2 - deputies. 200 deputies did not cast a vote. Interestingly, the only two PoR deputies who supported the bill were two of Yanukovych's closest advisers: Hanna German, and Taras Chornovil who even said that he may quit PoR over this most emotive of issues. In the event 233 deputies supported the bill - a minimum of 226 votes were required for it to be passed. PoR had proposed the famine to be considered "an evil act of the repressive totalitarian Stalinist regime, directed at mass destruction of part of the Ukrainian and other peoples of the USSR resulting in the artificial Holodomor of 1932-1933"
I guess many Ukrainians will now feel a little better whenever the Holodomor is discussed. They have done the right thing. As the figures were flashed up on the screen in the VR I'll bet a stab of anxiety when through some of the PoR deputies. There are other divisive votes looming soon, e.g. on the budget. PoR's leadership in the VR must have had a good idea how the vote would go. They should have been a bit smarter and allowed their deputies to vote according to their individual consciences - this would have improved their standing amongst most Ukrainians. More than half of Ukraine's adult population [52%] want the country to adopt a neutral non aligned status, according to a recent opinion poll. 65% have a negative or very negative attitude towards NATO, and only 23% support Ukraine's entry in NATO. 56% consider Ukaine joining NATO would significantly increase state budget expenditures on defence; and nearly one half [44.8%] of those questioned consider joining NATO would lead to a collapse of the military-industrial complex. In another significant O.P. 56% of respondents drawn from all regions of Ukraine supported a motion for 1932-1933 Holodomor [great famine] to be legally recognized as an act of genocide. 22% felt that it was not necessary for the Holodomor to be considered an act of genocide. Amidst all of the writing on the dreadful murder of Alexander Livinenko, one piece, from today's 'Ukrainska Pravda' written by a friend of his, caught my eye. "All of the might of the KGB, and now the FSB, is held together by total fear - of control, of the system. So throughout the whole period of existence of the Soviet authorities only one thing was said about the KGB: "They know [what's happening] everywhere - [they'll get you] from under the ground, if this becomes necessary." And in order for those who sit in the building in Lyubyanka to hold people in a state of terror it is necessary to confirm everyday the certainty of the irreversibility of punishment for deviation, and for overcoming fear of the system. A person such as Alexander Litvinenko, who knew the system from the inside and who did not stop fighting it for a minute, could not be an exception for them. For the Kremlin it wasn't Litvinenko that was dangerous. The danger was the precedent of his impunity. It was necessary to destroy him as a lesson and a warning for those who may try some contortions ['tricks'] before the next presidential elections." A significant portion of the last century's history of Russia and the Soviet Union was called "The Great Terror" - the instrument for application of this terror was the NKVD and KGB. Their successor is the FSB. By coincidence the following piece [which I've also translated below] appears in today's "Donbass" newspaper. It helps explain why 'Ukraine is not Russia' - and how Ukrainians are coming to terms with their past, even in what some observers simplistically call the 'pro-Russian' eastern regions. Yesterday, hundred of people gathered in the Rutchenkovskoye Field, at a memorial service dedicated to the 'Victims of Political Repression and Holodomor'. This city outskirt hid ominous secrets for decades. In the thirties and forties of the last century thousands of "enemies of people" were shot here and dumped into a ditch. Only at the end of the eighties were their remains reinterred. Relatives of the victims of political repressions, witnesses of the Holodomor [famine], members of political parties and public organizations, and students from the schools of the Kirov region came with the flowers and candles. 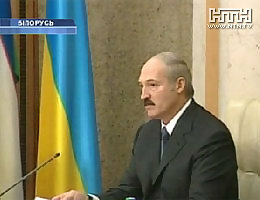 The oblast governor Vladimir Logvinenko, and city mayor Aleksandr Lukyanchenko both addressed the meeting. Then after a requiem mass, flowers and lighted candles were placed at the foot of the monument. Aleksandr Bukalov, the head of the civic organization "Donets Memorial" stated that there had been over fifty thousand victims of political repressions in the Donets region. He said that two 'books of memory' had been published in which it is possible to find lists of victims; and that work on the books continues. To the question, "Was Holodomor of the thirties a planned genocide of the Ukrainian people? ", he answered: "I think it is erroneous to speak about national aims. There was another purpose - to destroy a portion of the population and to hold people in fear in order to remain in the authority ." During the same day meetings and the placing of flowers took place at the memorial plaque in honor of the victims of political repression in the Ukraine on the building of the Donetsk State Music Academy im. S.S.Prokof'eva' and at the memorial in honor of the Ukrainian poet Vasil Stus. Fine review, entitled 'Old Habits Die Hard', of Andrew Wilson's unrivalled "Ukraine's Orange Revolution", Yale University Press, on the TOL website here. One of the demands of the Orange Revolution, which began exactly two years ago today, was 'Bandits to Jail!' For these demands to be met, reliable and uncorruptible law enforcement agencies and prosecutors would have to be in appointed. Sadly, this has just not happened. Today's 'Ostrov' site runs a detailed piece on Renat Kuzmin, who on 5th September was appointed deputy Prosecutor-General. It reveals how little, if any, progress has been made - to use an old cliche, he seems to be as suitable for this position as King Herrod was for running a children's hospital. Since being appointed, he has been the public driving force behind corruption charges that have been levelled, primarily for political reasons, against Minister of Internal Affairs Yuriy Lutsenko. [More on this here]. Volodymyr Shcherban has returned from a Miami prison cell to Ukraine and is now doing the rounds of TV stations and media interviews. But more sinister, Kuzmin was behind the recent release, after the briefest of detentions, of Alexander Melnyk, a Crimean parliament deputy and alleged big-time 'kriminalnyi avtorytet' who has repeatedly been accused of leading the most powerful organized crime syndicate in Crimea - the "Salem" gang. According to Interior Minister Lutsenko, they are responsible for more than 50 murders, including those of policemen. Melnyk had been apprehended by law enforcement officials and brought to Kyiv, but despite a large amount of evidence presented, the new deputy P-G failed to put the case before a court of law, and Melnyk was released. Some Ukrainian journalists call Kuzmin 'Akhmetov's man in the P-G's Office'. Melnyk has long been considered the "king of Donbass's overseer" in the Crimean Autonomous Republic. An article in today's 'Grani Plyus' entitled, 'Two Prosecutors', concludes: "In our country we have two prosecutor's offices working in parallel. One actively interacts with the Ministry of Int. Affairs and investigates serious crimes, including those within the law-enforcement agencies themselves. While the other ignores the results of the work of its own lower tiers, and institutes proceedings on political orders." The bandits can sleep easy. ps Male life expectancy in Donbass is now an appallingly low 56,3 years, I thought that fighting corruption was problem #1 for Ukraine, I'm not so sure now. Maintaining the health and effective working lifespan of the workforce must be at least as important. Several thousand invalid miners are planning to demonstrate on 28th November outside parliament to protest against cuts to their benefits which are being proposed in the 2007 budget: its second reading is to take place on that day. They intend to remain there until their demands are met, and the miners claim the proposed budget violates their constitutional rights. More opinion polls show that for Ukrainians, paying the big increases in housing and utility charges will present major problems. One poll indicates well over 80% say they cannot pay the increases. Other O.P.s show PoR's rating down to 27.6%, from a high of 37.5% last August. BYuT are at 16.7%, and NSNU are at 10.4%. At the same time, the likelyhood of a reshuffle amongst the ranks of BYuT and NSNU, and a possibility of the the lesser orange parties who did not join NSNU for the March 2006 parliamentary elections joining forces with BYuT, is increasing. "However, an analogous situation exists in BYuT as that in NSNU with the 'lyubi druzyi', i.e. former 'Kuchmistas' versus 'heroes of the Maidan'. Yuliya T has managed to balance her businessmen and 'clean politicians', but how for long can she go on doing so is anyone's guess.. In reality Yuliya Tymoshenko has little control over her regional cells and fractions in the local government organs, where internal squabbling frequently takes place. Then there are external factors which could threaten the present leading position BYuT in the opposition. In the Spring a force could appear that would squeeze BYUT in the oppositional niche. The consequence of the President distancing himself from NSNU could be the creation of new pro-president force, possibly, not so much party, as a civic movement. The potential leaders of such a grouping could include one of President Viktor Yushchenko’s political advisers, Taras Stetskiv, Minister of Internal Affairs Yuriy Lutsenko, Arseniy Yatsenyuk, or Vyacheslav Kirilenko. They could possibly be more attractive to the minor orange parties NRU, UNP and PRP, as well as some NSNU members, than BYuT." PoR can remain reasonably relaxed - the 'oranges' are far from resembling a co-ordinated opposition. the heart of the nation and its conscience"
Today's papers have all printed articles about the recent poisoning in London of former FSB officer and defector Alexander Litvinenko. The story is not new - 'Kommersant' and others have been running it since last Monday. So why the delay? Even without full identification of the poison used, the story should have been run in the media much earlier, particularly as Litvinenko had recently received full British citizenship. Realpolitik? Pressure from UK gov? Both President Viktor Yushchenko and Prime Minister Viktor Yanukovych have stated that they consider the bills will pass and that this last hurdle to entry will be overcome. When it comes to predicting when entry might occur, however, they are less of the same mind. The endorsement on November 15 by President Bush of Russian entry to the WTO has once again raised the spectre of a possible synchronised entry of the two countries. Many observers believe that Russia has a number of objections to the possibility of Ukraine joining the WTO first. Primary among these concerns is the influence that Ukraine may have on determining the terms of entry for Russia. Ksenia Lyapina, the chair of the subcommittee of the Supreme Rada for regulatory policy and entrepreneurship, which works on the issue of entry noted, "If Ukraine joins the WTO earlier than Russia it will be able to get in the working group for Russia's joining the WTO and articulate relevant requirements toward its northern neighbour, which is not at all liked by Russia." The issue is also a matter of prestige for Russia, which would prefer to lead rather than follow the former satellite into the WTO. Entry to the WTO would reduce the leverage Russia has over Ukraine. Ukraine may need to sign a joint agreement with Russia stipulating that it will not attach additional preconditions to a Russian entry in order to drive the talks forward. Many observers expect that membership of the WTO for both countries would put an end to frequent trade wars between them, for example the banning by Russia of meat and dairy imports from Ukraine. In an article in the local press on November 9, Andriy Honcharuk, an advisor to Yanukovych, predicted that Ukraine could expect to see up to a 10% increase in GDP when it joins the WTO. He believes that the metallurgical industries will see immediate benefits, with a predicted 22% increase in industrial output in the long-term period after becoming a signatory, with similar growth anticipated for the chemicals industry. The ex-governor of Sumy, Volodymyr Shcherban, says he is not seeking revenge against Minister of Internal Affairs, Yuriy Lutsenko. "To take revenge would below my level of dignity," said Shcherban in a recent TV interview. This is the same man who addressed a meeting of regional state administration heads and leaders of agricultural enterprises as follows: "In earlier times ideology amongst the population was spread with the help of hangings, firing squads, and collectivizations. Today this does not happen. But don't risk it today, don't raise your heads, so that we don't chop them off on 1st November. Or we will chop off not only your heads, but also your male members." He was talking of the imminent presidential elections in 1999. Needless to say, the oblast produced the required vote and result for Kuchma. Pressure is now building on Lutsenko, who was grilled by the Prosecutor General's office and by a parliamentary committee on corruption and organized crime recently. Lutsenko had been appointed Internal Affairs minister after the Orange Revolution, but suprisingly kept his job in the cabinet after the March 2006 VR elections. Volodymyr Stepanovych [if you can't beat 'em, join 'em] Malyshev, a PoR deputy and chief security director of Akmetov's S.C.M. corporation, but formerly head of the Donetsk oblast militia, is being pencilled in for the Internal Affairs Minister's job already. His record in solving crime in Donbas has been 'uninspiring', in other words, the ideal man for this lofty position. Ironically the murdered Roman Yerokhin was himself considered to be a 'Malyshev man'...small world..
Lutsenko's dogged but fruitless attempts to 'nail' Shcherban have been hampered by Prosecutor General Medvedko. And as I posted a while ago: [the late] Yerokhin's colleagues have no confidence either that the Prosecutor General, Oleksandr Medvedko, who has taken over investigations from the Ministry of Internal Affairs, will solve the case. Medvedko, a Yushchenko appointee, has dubious track record as a former Donetsk prosecutor, which only confirms their fears. I've posted previously about the recent return to Ukraine of disgraced former governor of the Sumy oblast, Volodymyr Shcherban, and how $2m of SCM's money helped bail him out of a Florida jail. Others excellent analysts have also provided comments on this affair. An article in this week's 'Bez Tsenzury' publication sheds light on Shcherban's earlier career in Donbas, on his links with Rinat Akhmetov, Yukhim Zvyahilskiy, the late Akhat Bragin and Yevhen Shcherban, and on the tensions and fissures in what is commonly called 'the Dontesk clan'. "The initial march of Volodymyr Petrovych Shcherban into politics and power took place during the first murky years of the formation of the Ukrainian state and the capitalization of the economy. When Yevhen and Volodymyr Shcherban (distant family namesakes) arrived in 1994 into the country's parliament, the older residents of the VR named them "meat-hackers". Volodymyr Petrovych still resents this, declaring that he has never stood behind a counter with knife in hand. The two influential Donechchany hammered together their initial capital in merciless conditions. They avoided being linked to any serious criminal cases although Volodymyr Shcherban was allegedly involved in some relatively minor commercial machinations. There was a scarcity of many products and basic commodities at that time and Shcherban, being by the director of large stores and warehouses, was involved with their deliveries and distribution - including to the tables of influencial party bosses. The omnipotent Yukhym Zvyagilskiy helped Shcherban to avoid 'both prison, and ruin" in those years. But after becoming mayor of Donetsk he rapidly found common language with Akhat Bragin, Rinat Akhmetov and Yevhen Shcherban, who all rose to the top by natural selection during this epoch of racketeering. They dispatched a team to parliamentary and local elections of 1994 using new 'PolitTekhnologiya'. Bribery of electorate was achieved with the aid of mass distribution of vodka, sausage, macaroni etc. The former PartNomenklatura was shocked when the results of voting were revealed, and the era of "red directors" came to an end. The concepts of "authority" and "business", became unseparable. Shcherban's trade mark "Dyelo Vsyekh" became a monopolist supplier for products in Donetsk region. Yevhen Shcherban successfully developed its business in the agrarian sector and in the market for coal and metal. Bragin also switched to these fields of operation after his racketeering past. Their political "roof" was provided by the Liberal Party of the Ukraine. After the flight abroad of its chairman Igor Markulov, Volodymyr Shcherban took over this position. This "Big Three" (Akhmetov was still in the shadow of Bragin) during that year successfully switched their activities to gain control of the majority of the industrial enterprises of Donbass. Having gained such a powerful a base, Donetsk, by the end of 1995 was no longer hiding its presidential ambitions. "Whether anyone wants or not, Volodymyr Shcherban will become the President of the Ukraine," declared Yevhen Shcherban. However Bragin several times carelessly publicly insulted Kuchma by calling him a nominal President only, and said the true masters of the country are "Donetski". Special services twice took him in handcuffs to the capital for "prophylactic discussions". From the beginning of 1996 the Shcherbans, shaping up for the forthcoming presidential battle, established contacts with a number of influential politicians, including the then prime minister Yevhen Marchuk. Volodymyr Petrovych did not hide his personal ambitions. In an interview in "Dzerkalo Tyzhnya" he promised that the next president of the country would be from Donbas. In order to achieve his ends, Shcherban was prepared to use the miners as weapon. He practically led the so-called miners' strike committee and, according to Pavlo Lazarenko, he was preparing to execute a coup d'etat with the aid of the miners. For some this was all too much. An answer followed without delay. In October 1995, at the Shaktar stadium, Brakin was blown up and killed during a football match. At the beginning 1996 several prominent Donetsk businessmen were also killed in just a few months. In July the same year Volodymyr Shcherban was removed from his governor's post by President's Kuchma's decree; and that autum Yevhen Shcherban and his wife were shot dead at Donetsk airport. There is also speculation that the murders were the consequence of vendettas between the leading 'Donechchany' (this is a theory held by the deceased ex- minister of internal affairs Yuriy Kravchenko). The march of the "Donetski," and of their leader Volodymyr Shcherban into 'big politics', was stopped in its tracks and he then left the country for the first time for a prolonged stay in the USA. However, the unity of political power and capital took even stronger root. Rinat Akhmetov inherited Bragin's business empire, including the Shakhtar soccer club. Together with Vitaliy Hayduk and Sergiy Taruta they strengthened the business positions of their newly-created "Industrial Union of Donbass" corporation. They successfully lobbied for Viktor Yanukovych to be appointed Donetsk oblast governor. Together they did everything possible not only to weaken the financial influence of Shcherban in the region, but also to practically destroy his businesses. So perhaps the two million dollars bail money paid by Akhmetov, which guaranteed the release of Shcherban from an American prison, can be considered as a 'pay-off' for his demolished businesses in Donbas. But, most likely, this sum is a simple 'advance' paid for future collaboration, and he is certainly not just to be "an assistant to people's deputy Akhmetov", as Akhmetov ironically stated. "Volodymyr Petrovich Shcherban has colossal experience,and reputation,and if he will be required in politics, then this depends on the people who he invites," said Akhmetov. So it is becoming understood that the alighty oligarch sees the refugee in politics again, for example in the role of party leader. According to information provided by some 'Regionaly' themselves, interrelations betweem party money bag Akmetov, and premier Yanukovych are not altogether smooth. Reliable sources repeatedly report to Akhmetov that Yanukovich is acting behind-the-scenes to form his own sphere of influence both inside the party and in the parliamentary fraction. Volodymyr Shcherban could become another center of influence in the "Regional" medium. Shcherban would act as a guard dog for Akhmetov, particularly as Yanukovych and Shcherban do not have a good mutual relationship because Victor Fedorovych used administrative resources to the liquidate the Donetsk businesses of Volodymyr Petrovych after his predecessor as governor fell into disgrace. Many influential 'Regionaly' are dipleased by the triumphal return of the "prodigal son". It is possible that an attempt may be made to appoint Shcherban a governor again. 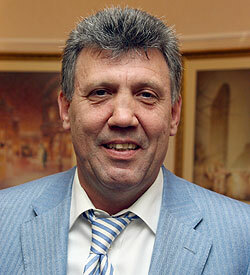 A second term of governorship in the Donetsk oblast could become compromise. Rumors such as these are already covering some local businessmen with a cold sweat." The author ends his piece by suggesting that Akhmetov is a smart businessman, and that the $2m investment may provide a good return. Today's 'Bez Tsensury' publication also provides detailed information of Shcherban's disgraceful activities and extortion of local businesses in Sumy while he was governor there, and helps explain why many Ukrainians are so fearful of the rapacious 'Donchany'. The way the ruling authorities deal with the Ukrainian Shcherban in the weeks and months to come will provide good indication as to how they intend to govern the country. Allowing him to return with impunity is not a good start..
Wild east - and west.. It is often assumed that it is only in eastern Ukraine where gangsters and mafias reside and where businessmen are murdered in criminal vendettas, but this is not entirely true. Such terrible events also occur elsewhere in Ukraine. There has been a spate of assassinations of prominent businessmen in Lviv this year - the latest taking place yesterday, when Bohdan Datsko [see photo] was shot dead on his way to work in his Mercedes. Datsko was the owner and general director of a large company that manufactures Christmas decorations, a big player in the European market. A bar owned by Datsko's wife had been torched last winter. Last month, on 26th October, an attempt was made on the life of Roman Fedyshyn, owner of the Shuvar market in Lviv. He survived, but an innocent 14 year old schoolgirl was killed when Fedyshyn's car was blown up. On 30th December 2005 the chairman of the Lviv city council transport and communication administration died as a result of burns received when his car was set alight by unkown assailants. On 29th September 2005 the head of the Lviv-based Ekolan corporation was killed by a burst of automatic fire from a 'Kalash'. Six other prominent businessmen have also been murdered in Lviv since the turn of the millenium. None of these crimes have been solved. .. it constantly seems that any minute now the system of corruption and opaque state/commercial actions, by means of which someone can acquire billions, will collapse... This edifice of murky affairs started wobbling as early as 1985 - and is still crumbling. Authority changes, from criminal to [supposedly] one of the people, but the schemes of enrichment remain, because no one destroys them, [on the contrary,] the mechanisms are transferred carefully from hand to hand. ....we thought that after the [March 2006] elections - gas businessmen would be banished in disgrace.. the new authorities would expose the [fraudulent] schemes, and state structures would take over [responsibility] for deliveries of gas into Ukraine, so earning money for the state, and not for the benefit of some unknown budget. But hopes were dashed. No one hurried to return the 'hen which lays gold eggs' to the people. Instead it was handed over with great care to the hands of the [election] winners. RosUkrEnergo" lives and flourishes. What do the gas magnates hide from the people? The bill proposed to the VR by Yuliya Tymoshenko on the formation of a temporary investigation commission to investigate the illegal activity of mediators in the Ukrainian gas market and the participation and abuse of power of high ranking officials in this sphere, (N2430) has been ditched because it allegedly does comply with VR regulations... it is only possible to fight with the incomprehensible goings-on in gas dealings when one is in opposition. [We are talking here] according to different unofficial estimates, of tens of millions of dollars a day. Or three and one-half billions of dollars per year. Change of guard without change of direction. So someone who is incomprehensible and very serious governs the sole supplier of gas into the Ukraine..with the full blessing of authorities. But as always - the main prize comes last. The most valuable asset in our country is its gas transport system. When Yuriy Boyko was in opposition he exposed Aleksey Ivchenko for the fact that under the management of this main nationalist of the Ukraine "Naftogaz" was accumulating debts just as dog gathers fleas. These criticisms were fair. Now Ivchenko is in parliament, and Boyko himself has taken "Naftogaz" under his wing. It seemed things would be sorted out, debts repaid, and the schemes set up by predecessors cleaned up, and then everything will be beautifully and it is stable. It didn't happen. [Even] with a change of captain, the ship continues on the same course. "Naftogaz Ukrainy" intends to draw credit of $550m. for five years in the Credit Suisse International bank, in two tranches, including the first - $350 million - before the end of the year. Even in June 2006 the management of "Naftogaz" stated that it plans to draw credit for the purchase of gas for the underground depositories. In July "RosUkrEnergo" and JV "UkrGazEnergo" stated that they intended to pump 10.2 billion cubometers of gas for its own needs prior to the start of the heating season 2006-2007. Also part of the proposed credit had to go to the repay $320 million of debts of the state company to "RosUkrEnergo" and "Ukrgazenergo". So most of the first bank tranche will go to pay off debts to "RosUkrEnergo". Interestingly - in spite of the colossal debts of "NaftoGaz", "RosUkEnergo" (50% of whose shares belong to Gazprom) continues to pump into gas into the Ukrainian depositories for its own purposes. This could be considered as the noble gesture if we believed in the decency of large and important companies. But we are not so naive. And we know that if people do not hurry to get large sums of money back, it means, in the course of time they want to obtain even larger sums. But if they do not hurry even with very large sums? Well, probably, after a time they'll want to seize everything. Don't forget that the debt of Ukraine becomes increasingly greater with each cubic meter of gas consumed. If the government does not pay soon, according to calculations, then in the course of time the gas transport system of Ukraine will become the subject of haggling between the creditors, in the first place, "Naftogaz". On 18th September "BYuTovets" Nikolai Sivul'skiy declared, "In one of the agreements between the State company and a London company, which during June provided Naftogaz 200 million dollar's worth of credit, it is stated in clear text that the guarantee property, which ensures the recovery of loan, is the gas transport system of the Ukraine". If we observe the [developing] spectacle then it would be foolish not to be surprised at the actions of of parliamentary leaders, who are clearly preventing an investigation being conducted into the gas system. Serious people divide serious money. But the people, whose labor created everything in this country are passed by with the cash box, just as with previous authorities. A confidential study by Nato’s economics committee, said Russia was seeking to use energy policy to pursue political ends, particularly in dealings with neighbours such as Georgia and Ukraine.